Legal Admin - Cincinnati, Columbus, Dayton | SpliceNet, Inc.
Are you a C-Level Legal Admin or Law Firm Office Manager concerned about your firm’s Cybersecurity and Compliance situation? 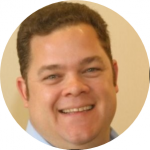 Been trying to get in front of customer, ethical and industry demands and your IT staff/consultants are awesome just inexperienced in Cybersecurity and Compliance? If you’re like most Legal Admins/C-Level Law Firm Execs, Protecting and Responding to Cybersecurity events and Compliance is an important part of your role. Have or are you trying to implement or prep your firm for looming Cybersecurity, Compliance and protection pressures you see coming but been met by road blocks and obstacles not to mention budget constraints? Is the technology or executive committee pushing back, not wanting to spend the money on an intangible expense that they don’t see improving revenue? We understand and share your concerns. We see it often. The good news is that we can help. 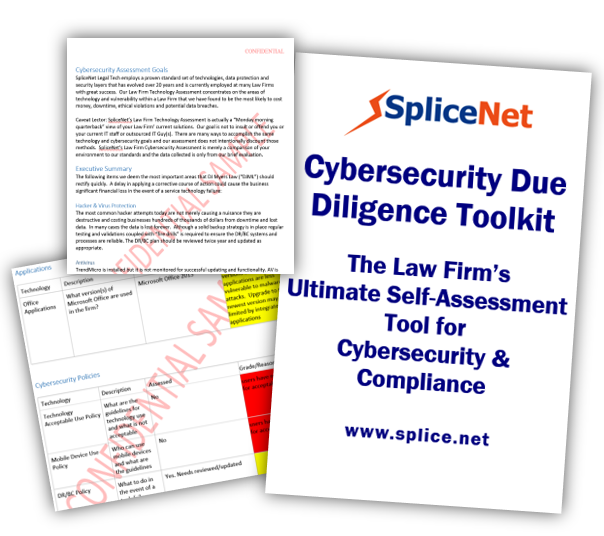 These are the same tools that we've used to assess over 75 Law Firms for Cybersecurity and Compliance over the last 36 months AND THE GREAT NEWS IS THAT YOU CAN DOWNLOAD THEM FREE. Prepare an action plan, present an Executive Summary of your findings and "sell" your findings to the managing partner or executive or technology committees. Why give our tools away? Unlike other Cybersecurity companies, Law Firm cybersecurity, compliance and technology is our only business. In fact, we're the only provider with a practicing attorney/cybersecurity/compliance expert as one of our partners. Having presented for the both local and the national Association of Legal Administrators on Cybersecurity and we discovered we realized there wasn't a standard assessment process for law firms to follow, so we created it and gave it away to the industry. It's become so popular that we've freely given our toolkit away to 50+ firms in the last 12 months with more requests coming each month.